Flipfile PVP Glue stick - 12 x 40g (large), boxed. 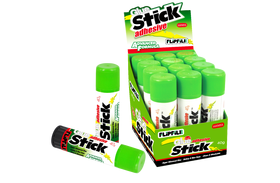 Quality glue stick at budget prices! We are a leading supplier of recycled plastic display and filing products to schools, education, wholesalers and retailers in the UK. 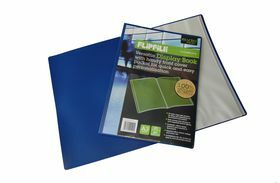 We have been supplying plastic files, folders, wallets and other plastic stationery since 1987 and were the first company in the UK to introduce the plastic display book as well as leading the charge on 100% recycled plastic stationery. 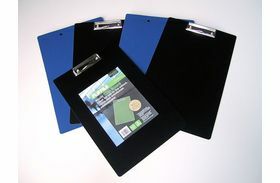 We are a one stop shop for all your plastic display and filing needs, whether you're looking for a punched pocket to store important documents or a book cover to protect school text books and coursework. With a wide selection of items available in a range of different sizes, colours and styles we have something for everyone. Our years of experience have allowed us to perfect all of our products so they are just right; competitive on price, quality and durability. Over the years our range has expanded to meet our customers' needs and market demand with the introduction of our part recycled and 100% recycled range. Our client orientated customer service matched with a high level of expertise has allowed us to work with some of the most recognised stationery companies across the UK and overseas. As well as our own range of office and school supplies we are the sole UK agent for Veloflex, one of Germany's leading stationery manufacturers. We stock some of their most popular items but if you have a particular product in mind and we don't have it we will be happy to order items from their catalogue. Buy online today or call us on 01392 203620.